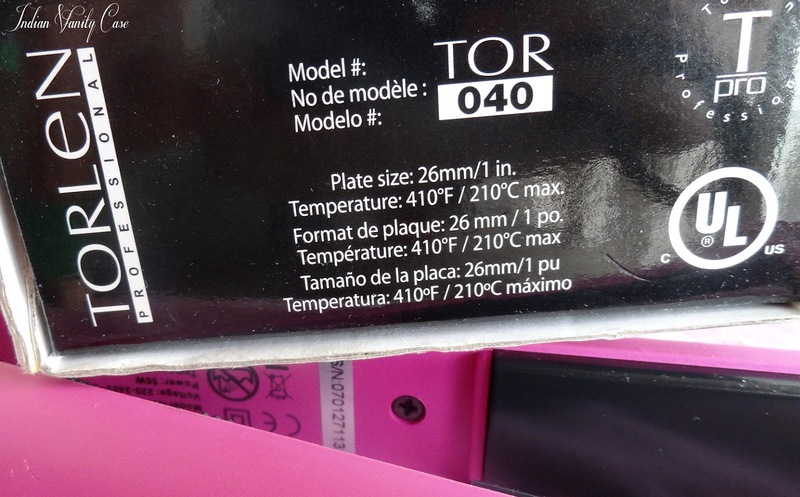 Indian Vanity Case: Torlen Professional Soft Touch Fuschia Hair Straightener ~ It's PINK! Torlen Professional Soft Touch Fuschia Hair Straightener ~ It's PINK! 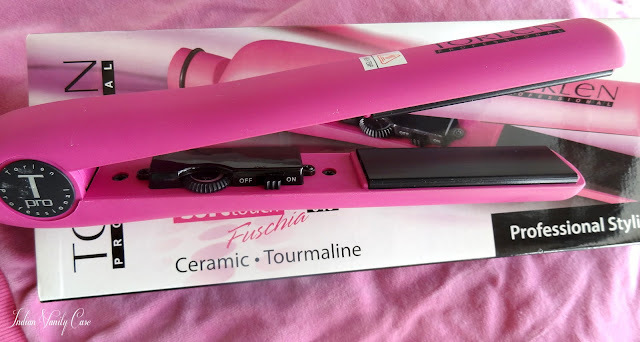 Torlen Soft Touch Fuschia Hair Straightener was a tool that caught my fancy backstage at Lakmé Fashion Week, because I've a-l-w-a-y-s wanted a pink hair iron. So.... I asked a kind lady from Lakmé Studio to help me get it, and she did. I was over the moon when I got it before leaving Mumbai! 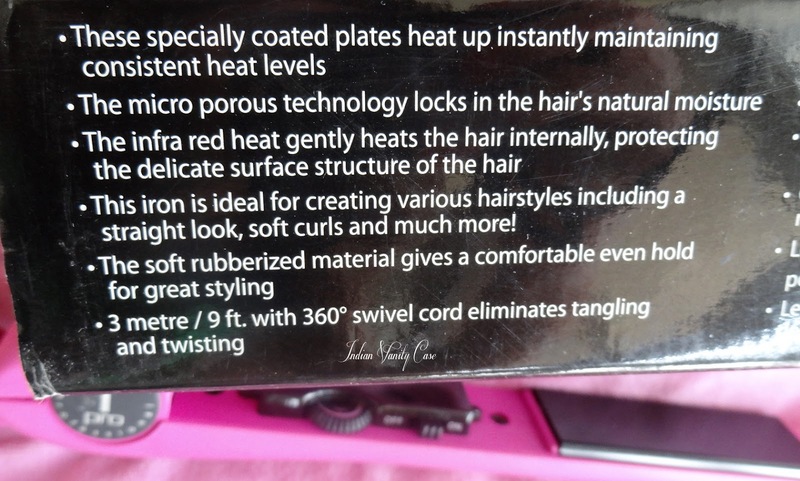 The cords of my other hair irons/hairdryers twist annoyingly, so it's so cool that this one doesn't + it's really long. 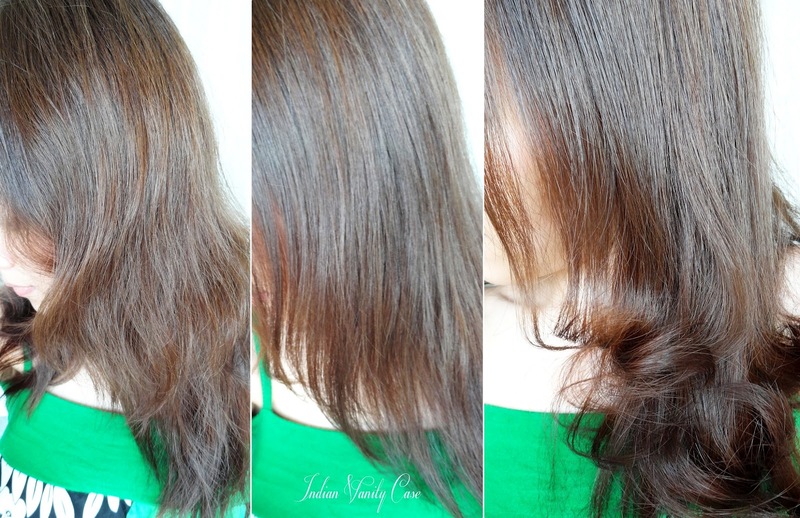 It straightens my hair really well, but what I like most about it it's curling ability, coz I don't like my hair totally straight. It curls the ends beautifully, since the pink soft rubberized material is curved in a way that enables hair to twist around it effortlessly. Hair does glide very smoothly on the Ceramic Tourmaline plates. You know, there are ceramic irons & there are tourmaline irons, but this one is both. As you can see, it does straighten well, and also makes my hair look shinier. I'm quite impressed with it, so if you gals are thinking about buying one - a pink one - that won't burn a big hole in your pocket, do check this out. 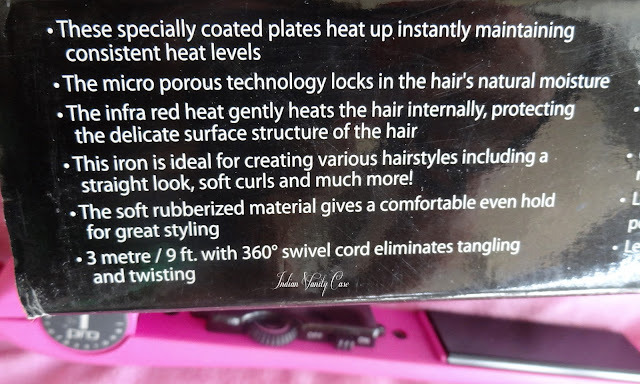 My previous hair iron was a Vidal Sassoon 1 inch ceramic iron, that I bought from Kuala Lumpur, and it used to eat my hair, meaning: strands used to get stuck on the edges of the plates & get pulled off my scalp, grrr. Now I can throw it in a useless box! Price ~ MRP is Rs.2500, but I got it for Rs.1600. Also sold at Khar Beauty Center, Mumbai. Delhi: Jacko, 13 Main Metro Road,Pitampura. But this color isn't available there. 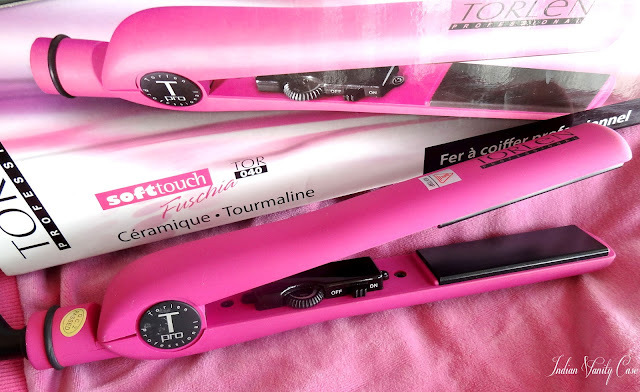 Other Torlen hair straighteners cost Rs.2500 at Jacko. 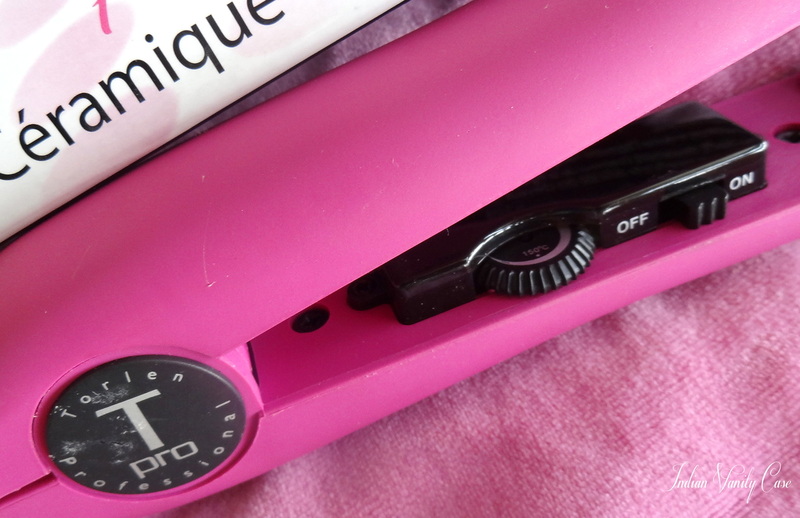 Which hair straightener do you use? Please share if you use/used one & help other girls decide which one to get. It looks beautiful <3 Loving the curls!!! I have a fancy many in one ceramic Phillips one but not a fan of it! I need this. Looks lovely! Works well, and a fun, bright colour! Awesome! can u tell me how u got it for Rs 1600 though? Could you please email me your contact details. You can go to 'Contact' at the top of this page & send me a msg there. Thanks.